Mumbai FC 2013/14 Season Preview: Will Khalid Jamil's Men Finally Turn Up The Heat? You are here: Home » Indian Football » Mumbai FC 2013/14 Season Preview: Will Khalid Jamil’s Men Finally Turn Up The Heat? 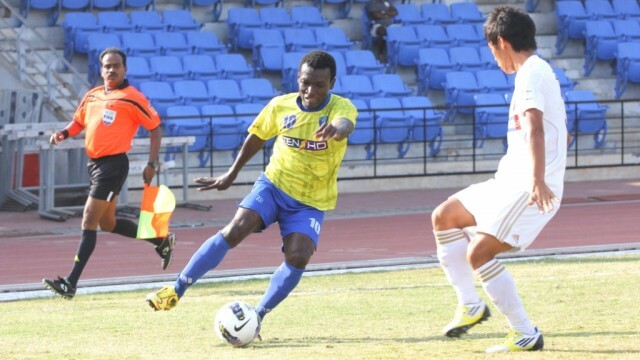 Mumbai FC 2013/14 Season Preview: Will Khalid Jamil’s Men Finally Turn Up The Heat? Mumbai FC– now a household name in the premier division of Indian club football, kickoff their fifth I-league campaign on Saturday when they take on Sporting Club de Goa in Pune. The coastal side has been avoiding the drop since their promotion to the top league, with the best finish of seventh position (debut season). Will this be the season when the Essel backed club finally turn on the heat and make their presence felt with a possible best finish? TheHardTackle does a quick health check up of the squad this season, the expectations from the club as a whole. Arguably some of the best upcoming goalkeepers in the nation will be donning the Mumbai FC jersey this season. Nidhin lal- custodian from Kerala will be the first choice goalkeeper, after he recovered from an ailing injury. The former India goalkeeper would be available for selection for Khalid Jamilai??i? ?s side. Apart from him, the Mumbai team can rest their hopes on the former Southern Samity player Sanjiban Ghosh. The Bengali goalkeeper commences his third season with the Mumbai team and would be all set to grab any opportunity which comes his way. In addition to the two senior members in the goal keeping department, Mumbai FC is investing time in another young talent- Kunal Sawant. Kunal made seven appearances in the last edition of the I-League and would be hoping to cash in with more performances this season. Defenders:Haroon Fakruddin Amiri, Nihal Chandran, Ritesh Perambra, Kamaljeet Kumar, Anwar Ali, Valeriano Rebello, Clyde Fernandes. Led by their inspirational captain Haroon Amiri, buoyed by the lifting his maiden SAFF Cup title, Mumbai FC is expected to have a strong hold at the back. Addition of former India international Anwar Ali to the back will surely add some stability. Valeriano Rebello has also been roped in after his mammoth spell at Dempo, to add experience at the back. Clearly, Khalid Jamil wants to reduce the leakage of goals at the back. Along with these senior folks at the back, Khalid Jamil has pinned their hopes on their home grown players like Ritesh and Nihaal. One of the major concerns orbiting around the squad of defenders for Mumbai FC this season is fitness of the ageing defenders like Anwar Ali and Rebello. Amiri has a reputation of being one of the fitter lads in the I-League. Mid-fielders: Rohit Mirza, Dane Periera, John Coutinho, Nicholas Rodrigues, Ashutosh Mehta, Subhas Chakraborty, James singh, Climax Lawrence, Manuel D’souza, Yarmipie Shangh, Lalrinchhana Tochhawng. Hopping to the most important players in any team who are responsible for oiling the engine. Mumbai FC roped secured the services of former India captain Climax Lawrence to anchor the midfield, bringing his experience on the table. Dane Periera would be man to watch out this season along with Nicholas Rodrigues. Both the players have been into the Mumbai FC Khalid Kamil mentored system for quite a while now, and this season they would both want to prove their worth. James Singh as usual will be expected to do the box to box coverage. Mr. Jamil will be looking to strike a correct balance between the young players and the veterans in the squad. 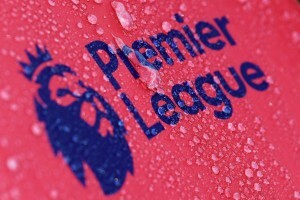 Players like Rohit Mirza, John Coutinho, and Ashutosh would be looking to secure starting places and make them counted. Mumbai FC certainly surprised a lot of fans when they managed to retain Yusif Yakubu, especially after rumours orbiting around the Ghanaian striker opting for supposedly greener pastures. Yakubu, would once again be a very vital figure, both on-&-off the field for the coastal side. Yakubu has tremendous experience of playing in India, and under his guidance, young strikers like Cletus Paul can blossom. Apart from him, Mumbai FC has usual suspect in the squad- Jayesh Rane. The Mumbai lad has been a part of the Khalid Jamil project for five years now. He will be expected to rotate alongside the foreigners upfront. Talking about the new signings this season in the striking department, Mumbai FC are close to securing a deal for undisclosed fee for Afghanistan striker Sandjar Ahmadi, according to the reports. His inclusion will definitely add teeth upfront, especially after his influential performance s for national team in the recently concluded SAFF Cup in Nepal. Also flaunting the Mumbai jersey would be former Md. Sporting Hitman Alfred Jaryan. The sturdy Nigerian was very pivotal in Md. Sportingai??i? ?s success in the division two, and his stellar performances did not go unnoticed as Khalid Jamil pounced on his availability. Former player and now chief mentor at the club- Khalid Jamil has won many accolades for investing a lot of time and effort in this Essel group backed project. Major win for this team has been that they have avoided the drop in all the editions of the league so far, but would not be among the top motives this season. Historically, the Mumbai FC team has the tendency to show class during the season, but only in scattered parts. With the squad now bolstered with presence of some experienced warhorses, this team could raise a few eyebrows this season in the I-league. A top half finish would be realistic target for the administration, but anything closer to the podium, should not be a distant reality, if their players remain fit. The Federation Cup will kick off shorty and the Mumbai based team slotted in group C alongside Mohun Bagan and Shillong Lajong. As always, this could paint an initial picture for all the eager supporters of what to expect from the new lads. There is nothing to gloat about from Mumbai FCai??i? ?s perspective in this coveted tournament but it is probably time that Mumbai FC gets itself counted among the big guns.